At Blazing Saddles, many of the staff are mountain bikers at heart, and we’re proud to to be premier dealers for local mountain bike specialists Orange, who hail from just down the road in Halifax. We’ve got a wide range models in our showroom, including the Orange 4, the Five and the Alpine 6. In hardtails, we have the Crush, the Clockwork and the P7. We have 2018 Orange Demo Bikes available for you to put through their paces, and if there is one of their awesome bikes you would like to demo that we don’t have in our fleet then give us a call or come into the shop, and we can usually get one direct from Orange for you to try. 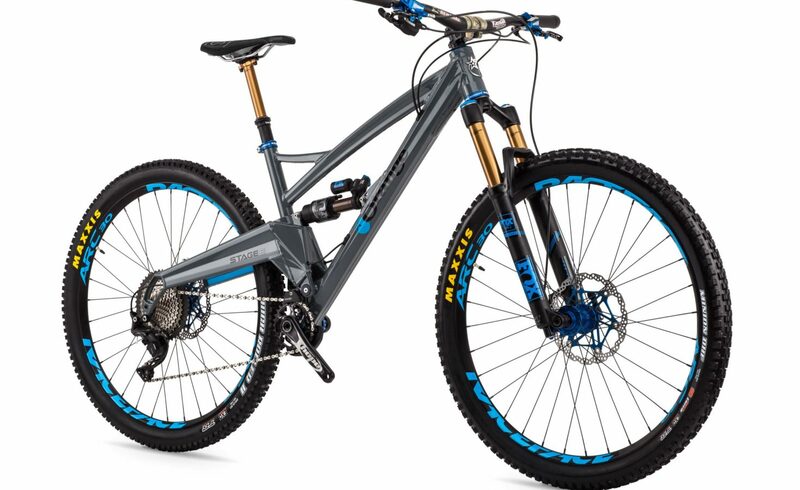 We also stock bikes from Specialized, including the Enduro, Stumjumper FSR and the Camber Comp (Carbon) plus a good selection of hardtails and hybrids.We are Specialized Demo Dealers which means you can now test ride and compare a range of great full suspension bikes. Specialized have a superb selection of bikes and are pretty sure to have something to suit, whatever the type of riding you like to do and whatever your budget. This year, we’re also dealers of Saracen and stock bikes including the Kili Flyer and the Mantra Trail. Both Saracen, Specialized and Orange produce 29″ wheeled bikes and 650b (27.5″). The larger wheels keep you rolling over small obstacles helping you to keep your momentum easier. Smaller wheels may be more suited to twisting narrow singletrack…? The jury’s out. Test ride and compare for yourself! When you’ve chosen which bike you want to try from our Demo Fleet, simply ring or come in to check availability. You can book the bike out for a day to suit you and we’ll make sure it’s ready to go when you collect it. The cost of a demo bike is between £50 and £70. You need to pay with a debit or credit card and provide some kind of identification such as a photo driving licence which you will leave with us for the duration of the demo. When you bring the bike back, if it’s nice and shiny and clean we’ll refund you £10 straight away. The remaining money can be used against the price of any new bike you buy from us, hopefully as a result of a great demo ride. You can demo as many bikes as you want, each time paying the demo price, any money spent in this way can then be deducted from the price of a new bike.